Plastic surgery before and after results: 2018 highlights! What is an eyelid reduction? Blepharoplasty surgery – often referred to as an ‘eyelid reduction’ or ‘eyelid lift’ – is a surgical procedure that improves the appearance of the eyelid by removing loose skin and reducing the upper eyelid. Surgery is most commonly performed on the upper eyelids, but can also be performed on the lower eyelids; or both at the same time. It can also be teamed with facelift surgery, for total facial rejuvenation. 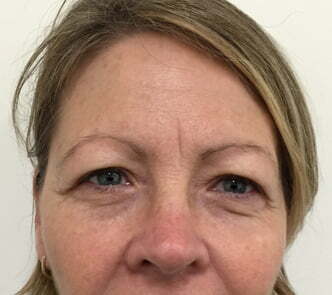 In addition to improving and rejuvenating your appearance - reducing the heavy-lidded, tired look that some people notice as they age - blepharoplasty surgery can also provide functional improvements, in cases where the eyelids hang down and impair the eyes’ field of vision. the procedure? Please complete the form below and we will be in touch ASAP. 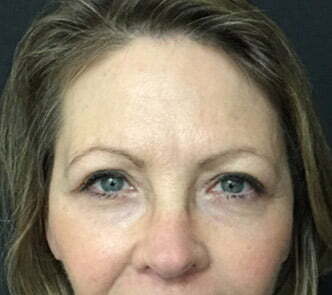 What does blepharoplasty surgery treat? Depending on your anatomy, blepharoplasty surgery may be classified as either a ‘medical’ procedure (with a Medicare item number) or a ‘cosmetic’ procedure, which is not eligible for a Medicare item number or private health fund coverage. If your vision is impaired by excess upper eyelid skin, blepharoplasty surgery may improve your vision - and the sore eyes and headaches that often come along with obstructed sight. Blepharoplasty surgery won’t ensure a good night’s sleep, but it can reduce the tire, worn appearance the comes with loose upper eyelid skin hanging over the lid fold - or large bags under the eyes. Blepharoplasty reduces the saggy skin that disturbs the natural contour of the eyelid, opening the eyes and removing the droopy-lidded look that can prematurely age the face. Why have an eyelid reduction? Like any surgery, the decision to undergo blepharoplasty surgery should be made firstly for yourself - and not to meet the aesthetic expectations of anyone else. While it is a very safe procedure, it nonetheless carries risks and is not right for everyone. Having an eyelid reduction will improve your appearance, and you may experience a confidence-boost as part of this, but it alone should not be used as a tool to address self esteem. What does an eyelid reduction involve? Medications are administered for your comfort during the surgical procedure. The choices include intravenous sedation or general anesthesia. Your doctor will recommend the best choice for you. The incision lines for blepharoplasty surgery are designed to conceal the resultant scars within the natural structures of the eyelid. The upper eyelid can be corrected through an incision within the crease on the eyelid, allowing for removal or repositioning of fat deposits, tightening of muscles and removal of excess skin. The lower eyelid may be corrected with an incision just below the lower lash line; through this incision, excess skin or fat in the lower eyelid is removed. Again, the excess fat can be repositioned or removed. A transconjunctival incision, created on the inside of the lower eyelid, is an alternate technique to correct lower eyelid conditions and redistribute or remove excess fat. With this technique, no skin is removed. The surgical technique most suitable to achieve your desired results will be discussed with Dr Sharp during your pre operative consultations. 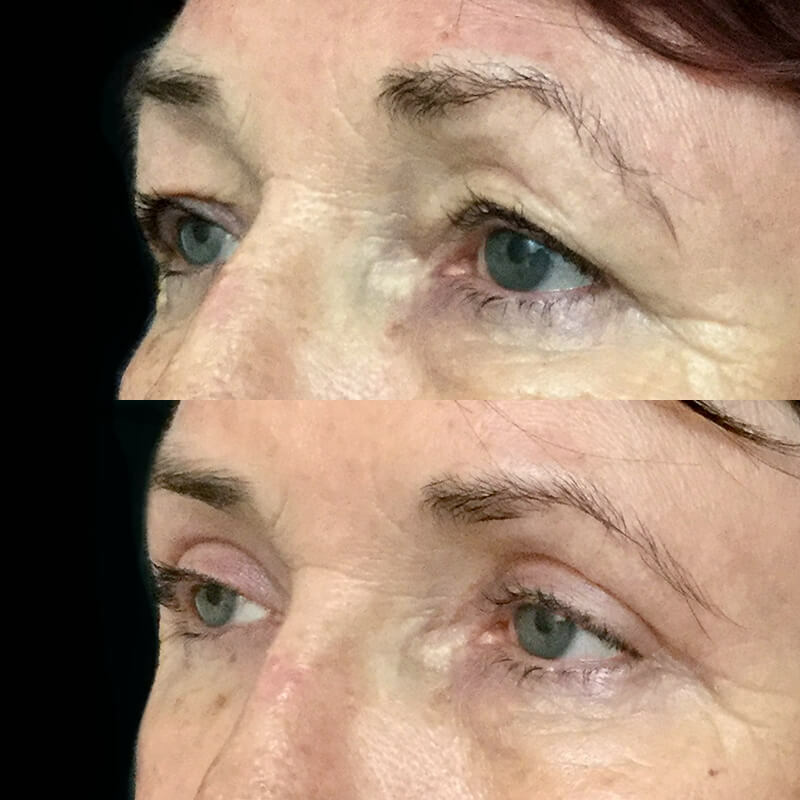 The results of eyelid surgery will appear gradually as swelling and bruising subside to reveal a smooth, better-defined eyelid and surrounding region, and an alert and rejuvenated appearance. After surgery, Dr Sharp may suggest the use of Fraxel Dual resurfacing laser to remove sun damage and stimulate collagen and elastin production, firming and tightening the skin around the eyes and removing age spots and sun damage. If you have poor skin condition or excessive sun damage, he may also refer you to our dermal clinician, to discuss a skincare regime that can reduce scarring and support your surgical results with optimal concentrations of active ingredients. Cosmetic wrinkle injections can also be used periodically to gently relax muscles that cause crows feet, lines and wrinkles - while naturally lifting the brow to create a beautiful, subtle arch that opens the appearance of the eye. The scar is strategically placed by Dr Sharp to blend into the natural folds of your eyes. As with all surgery, optimal healing is dependent upon healthy nutrition, an active lifestyle and good attitude towards your body. Dr David Sharp skincare: specially formulated to reduce scarring and support your surgical results with optimal concentrations of active ingredients. Cosmetic wrinkle injections to gently relax muscles that cause crows feet, lines and wrinkles - while naturally lifting the brow to create a beautiful, subtle arch that opens the appearance of the eye. Contact our experienced clinicians on 3202 4744 to find out more. How do I choose my blepharoplasty surgeon? Blepharoplasty surgery is very safe and performed frequently by plastic surgeons in Brisbane. However, it is nonetheless a surgical procedure – and should, therefore, be performed by a qualified surgeon. Dr David Sharp is a qualified plastic surgeon with a special interest in reconstructive and cosmetic plastic surgery, including facial surgery. His personalised approach means that you receive plenty of pre operative time with him to discuss your specific body goals and any questions - and post operative support that goes above and beyond to ensure you are assisted through the recovery phase of your surgery. It’s normal to feel both nervous - and an excited sense of anticipation - when planning your blepharoplasty surgery. Making a decision based upon how quickly you can get it done - or getting the cheapest ‘deal’ on your surgery - is not the best criteria to use when choosing your surgeon. Investigate your surgeon’s credentials, consult at least two surgeons and make a decision based on the doctor that you feel most comfortable moving forward with. Your surgeon should take the time to ensure your concerns are understood and addressed, that you have all the information you need to make an educated decision - and create a customised solution to suit your face and expectations. What kind of anaesthetic will I have for a blepharoplasty? 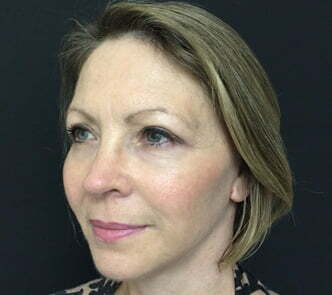 Eyelid reduction surgery can be performed under local anaesthetic or sedation, however, for patient comfort, Dr Sharp usually recommends general anaesthesia. 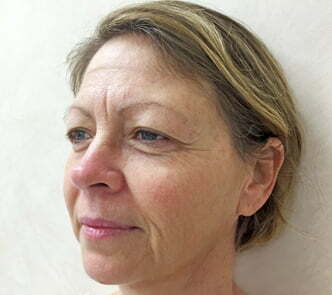 Facelift surgery is often performed in conjunction with blepharoplasty surgery. When surgically appropriate, these two procedures combined can create a significantly improved appearance to the face, where excess, thinning skin, jowls, loose upper eyelids or bags under the eyes create a tired, stressed or hollowed appearance. Subtle changes to the eyes, mid face and lower face can harmonise your appearance and create a naturally rejuvenated aesthetic. Complications are rare, and Dr Sharp and his team manage each of these risks with the upmost care to further reduce the likelihood of them occurring. In the event they do occur, most can be treated quickly and easily with prompt intervention. Everyone’s body responds differently to surgery. In some cases, post operative revision surgery might be required. Some factors, such as weight, lifestyle or health problems can increase the chance of a complication occurring. Dr Sharp will take time to learn about your potential risk factors during your pre operative consultations, and will determine if they are relevant to your surgery. 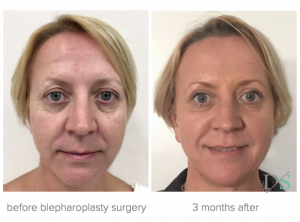 If you have any concerns regarding your blepharoplasty and the associated risks, feel free to book additional pre operative consultations with Dr Sharp. How long will I have to stay in the hospital after blepharoplasty surgery? Blepharoplasty is usually performed as a day procedure, meaning you can go home on the day of surgery - if you have the required support during the first 24 hours postoperatively. Dr Sharp will discuss the considerations and preparations that need to be made to ensure you are suitable for day surgery. Our care includes access to our 24/7 practice nurse to support you after day surgery, so you can call her anytime you have questions or concerns after your procedure. During your eyelid surgery recovery, our scar optimising gel and cold compresses may be applied. You will be given specific instructions that may include how to care for your eyes, medications to apply or take orally to aid healing and reduce the potential for infection, specific concerns to look for at the surgical site or in your overall health, and the dates of your post-operative appointments. Initial healing may include some swelling, bruising, irritation or dry eyes. Most discomfort can be controlled with medication, cold compresses, and the postoperative scar reduction product you are provided with after surgery; you may also experience irritation at the incision sites. When will I be able to go home after my surgery? What can I do when I go home - what activities should I avoid? What medication will I be prescribed after surgery? Will I have dressings after surgery? Are stitches removed, and if so, when? When do I return for my post operative appointments? Diligent sun protection and use of sunglasses is important during - and after - the healing period. How much time should I take off work? You will be very swollen for the first week after surgery and may find your vision is impeded. You may also have a very bruised appearance in the eye and upper face area. Most patients find they can comfortably return to work within 2 weeks of surgery, however, your job requirements, physical activity and exposure to potential irritants or injury should be taken into consideration, and should be discussed with Dr Sharp. Keep in mind that you will appear swollen for several weeks after surgery, and may find signs of swelling continue to abate over several months following surgery. How much do eyelid reductions cost? Blepharoplasty for cosmetic reasons is not covered by most private health insurers. However, in some cases, your surgery might be classified as medically required, and therefore be eligible for coverage under a Medicare item number. If so, you might be eligible to claim a rebate from Medicare, as well as your private health fund. After your consultation with Dr Sharp, if there’s a possibility that your surgery meets Medicare’s criteria, you will be provided with an item number. We recommend you contact your health insurance provider and ask them if you are covered for plastic surgery, particularly siting the item number provided. It is important to understand that, in the case of complications or revision surgery, the cost of your blepharoplasty will extend to future surgical procedures and hospitalisations. We encourage patients to think about how they would fund further treatment beyond the immediate costs expected. 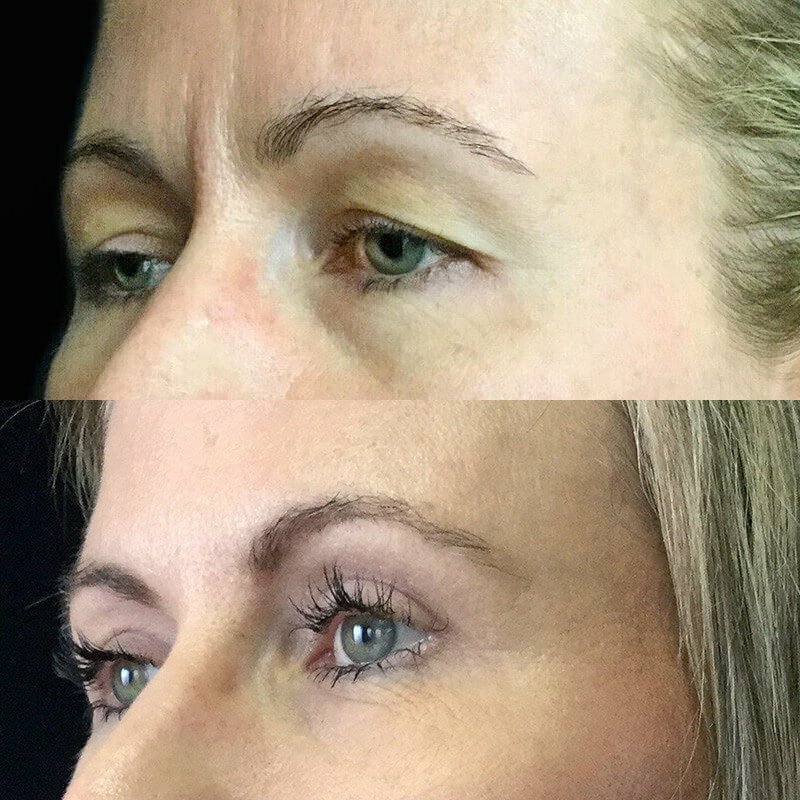 How long do blepharoplasty results last? Your result will turn back the clock - but they will not halt the ageing process, and therefore you may find that in 5 to 10 years you notice loose skin forming on your upper eyelids again, requiring further blepharoplasty surgery. Maintaining a consistent weight, healthy lifestyle and effective skincare regime will assist you in getting the most longevity out of your results. Want to see more before and after photos? We respect the discretion and privacy of our patients; while some of our patients kindly agree for us to share their images for other patients' education, many ask us only to share them in clinic. If you would like to see more before and after photos, please contact our office by calling 3202 4744.